January was filled with important trainings for the school staff. 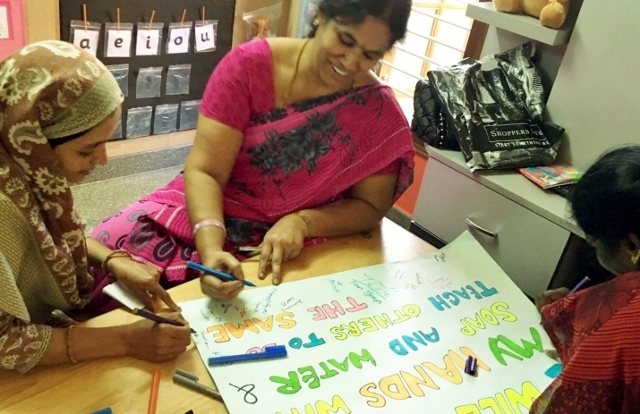 Enfold – an organization focusing on empowering children and adults to recognize, resist and report sexual abuse held a workshop on awareness for this matter. James Ambat, Founder of Building Blocks (BB) gave a training on sharing importance of maintaining hygiene in all BB schools. 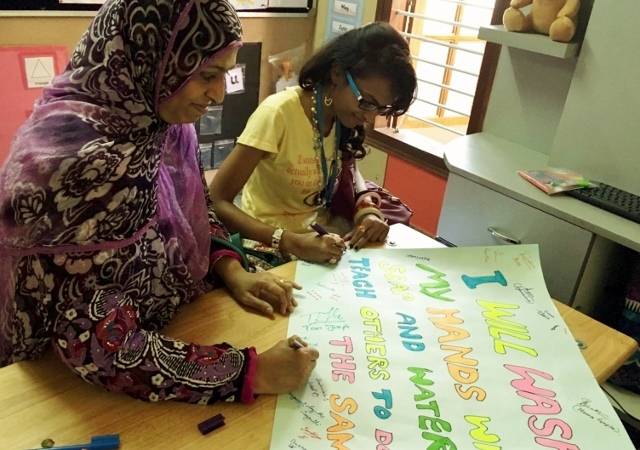 He thanked the support staff for maintaining a high level of hygiene in all the schools. Year 2016 will be dedicated to further increasing awareness for all BB parents in keeping higher hygiene standards in their homes. This is planned to be achieved through community meetings organized by local social workers together with the parents for stressing the Importance of Hygiene through power point presentations and video demonstrations. All staff took a pledge in supporting this and signed the pledge with “I will wash my hands with soap and water and help others to do”. Pongal the harvest festival of India was celebrated in the month of January. 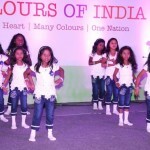 Children along with staff decorated the school for the festival and enjoyed the day thoroughly! Patterns was the theme of the month for K3 and many activities related to patterns like pattern around me, pattern stuff, auditory pattern, nature pattern, pattern chains etc were done with the children. They also learned to count numbers from 1 to 10 and write numbers from 1 to 5. K4 learned to count numbers orally from 1 to 50 and writing numbers from 1 to 35. They also learned recognizing odd numbers from 1 to 9 and even numbers from 2 to 10. K3 children learned sounds for letters a, t, i, p with story, action and formation and also learned to blend words. 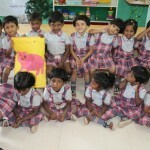 In Jolly Phonics Phase One – Alliteration was the theme for the month. Language enrichment has been achieved by learning the beginning sounds of words. They also learned the opposites of words like happy, smile, tall, work etc. K4 learned the letter sounds of f, b, j, z, w and v. They also learned new tricky words like do, go, no, so, my and by and high frequency words like at, up, all, as, if and an. 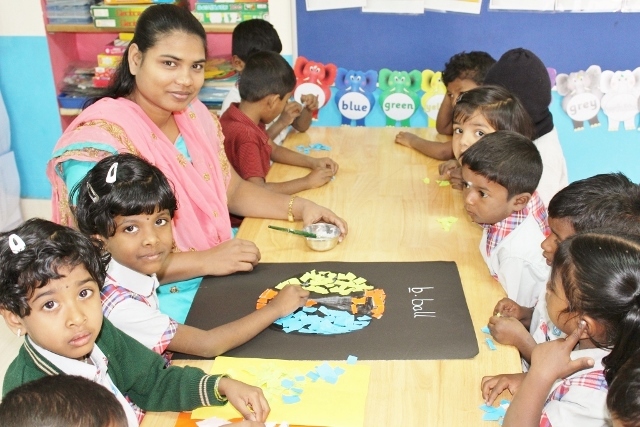 In Jolly Phonics Phase One – Alliteration was the theme for the month. Activities like I Spy, Bertha the Bus, Silly Soup, Our Sound Box, Voice Sound, Metal Mike were completed for learning. K3 children learned in health and safety about dressing according to the weather with the help of activities, flash cards and videos. 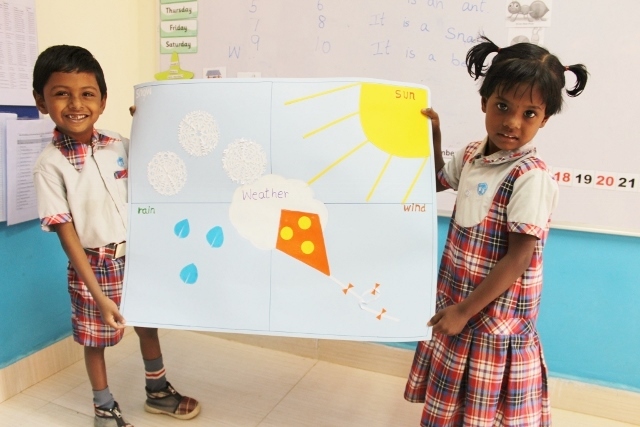 K4 children learned about “My Body” and about the weather. They also created an atmosphere chart and shared an activity related to the specific weather topic. With the help of flash cards and stories, topics like – being dependable, thoughtful and not being selfish were taught to them. Children are encouraged to play in our outdoor play ground. Every day, 15 minutes of physical activity is included in the schedule. Well balanced nutritious meals were prepared and served every day. Children were served with breakfast and lunch on all working days. A total of 1,377 meals were served this month. Ms. Monika Ganglani from France, was kind enough to sponsor lunch at all the Building Blocks Schools’ including the Gardenia school. 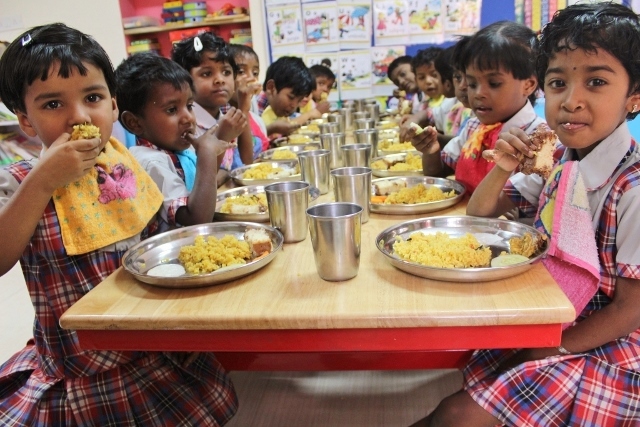 Children enjoyed a very yummy special meal served to them on January 29th on this occasion. There were two significant training sessions for the teachers and support staff this month. An organization called Enfold focusing on empowering children and adults to recognize, resist and report sexual abuse conducted an awareness seminar for teachers and for school admins. The day started off with James asking few questions and he was looking mainly at the support staff for answers. 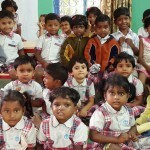 He asked what was the objective of Building Blocks India and all of the staff got this right – “Educating the underprivileged children”. James moved on by telling the support staff that they played a very important role for the organization – which they were hesitant to accept! 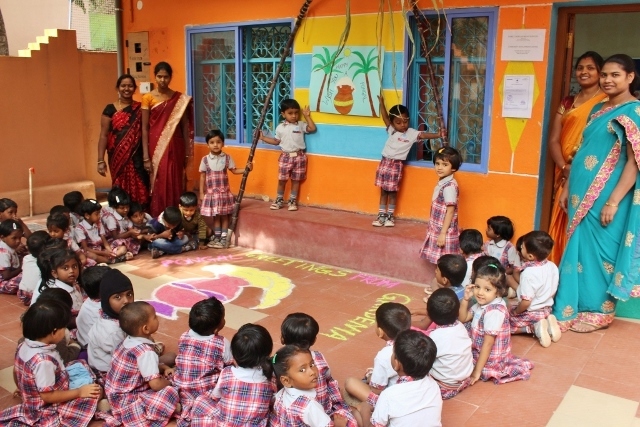 The role of keeping the school clean and tidy, following best practices of hygiene, cooking food in a hygienic way are helping the children from not falling sick and reducing the mortality rate for the children under 5 years in India. Hygiene has to be maintained by staff as well is what he emphasized. Things like washing hands with soap before cooking, after using toilets, maintaining personal hygiene – not touching their own face etc. while cooking was discussed and explained to them. Also, since we provide children meals at our schools we need to take extra caution while cooking food too. He discussed about thorough cleaning of vegetables and keeping the kitchen utensils and kitchen counters clean to safeguard children’s health. Also it was important to keep the school surroundings clean by using disinfectants, washing the toilets every 15 minutes with a disinfectant, washing children’s bibs frequently, changing hand towels at least once a day were discussed and had to be given equal importance as the education we provide in BB schools. Another video showed about death rate of children below 5 years which again was related to the hygiene practice. Birthdays are special for everyone. Children express great joy in celebrating their birthdays with their friends! Here are a few pictures from the birthday celebrations from the January 28th birthday celebrations at the school. Harvest festival, Pongal celebration in school. On January 11th, the social workers conducted a community meeting with parents about punctuality, sending children on time to school and on cleanliness and hygiene etc. There is a tremendous danger, as the youngsters originate from ghettos and could contract disease in school and consequently keeping the school clean will help us lessen the odds of death or intense sickness contracted from school.